Donald MacIntosh lived a life far more interesting than most of us, travelling to far-flung places in his career as a forester, but it was as a storyteller that he made his mark. Donald was born in 1927 on the Isle of Mull and moved to Galloway with his family in 1932, aged two. He was the eldest son of a Perthshire woodcutter and until the age of five, Donald could only speak Gaelic. In the 1950s, after studying forestry in Argyll, he set off to work in the forests of West Africa. To most of the outside world, the interior of West and Central Africa was still known as 'The White Man's Grave', and there were still large parts where its forests were primaeval. It was to be the beginning of a thirty-year journey as a tree prospector and surveyor. Donald began to write after retiring from the forestry business. He found England dull and boring in comparison, and was inspired to write about his experiences as a young man in Africa. 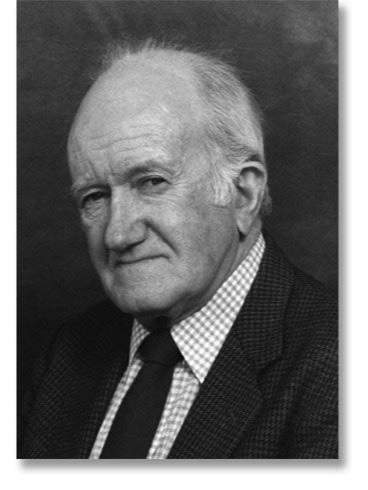 Donald wrote a number of books, including an academic work called The Mahogany Trail and his memories of Scotland in a book called Travels in Galloway. In 1999 his book Travels in a White Man's Grave was shortlisted for the 1999 Thomas Cook Travel Book of the Year award. He also contributed widely to national magazines such as The Oldie and Waterlog. His Medlar book, One for the Road, was launched to great acclaim at the Wigtown Book Festival in Scotland in September 2006. It is a collection of short stories with a fishing theme, some of which have appeared in Waterlog magazine. Donald had the ability to convey events in a humorous, but never sentimental way. He used his great skill as a storyteller to create unique characters that inhabited a marvellous patchwork of places and situations. We were sad to learn that Donald passed away on 30th July 2014 - we will greatly miss his special humour and his wonderful stories for Waterlog.